USDA is encouraging farmers and ranchers to make their voices heard by voting in the Farm Service Agency County Committee elections. On Nov. 7, 2016, USDA began mailing ballots to eligible farmers and ranchers across the country. Producers must return ballots to their local FSA offices by Dec. 13, 2016, to ensure that their vote is counted. Nearly 7,700 FSA County Committee members serve FSA offices nationwide. Each committee has three to 11 elected members who serve 3-year terms of office. One-third of county committee seats are up for election each year. County committee members apply their knowledge and judgment to help FSA make important decisions on its commodity support programs, conservation programs, indemnity and disaster programs, and emergency programs and eligibility. 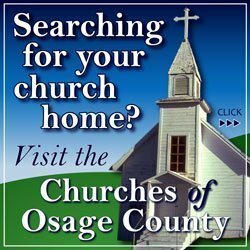 In Osage County, the candidate nominated for this year’s election is Charles Kaff, Local Administrative Area 1, to serve as a committee member. Kaff produces wheat, soybeans, corn and cattle. Producers must participate or cooperate in an FSA program to be eligible to vote in the county committee election. Farmers and ranchers who supervise and conduct the farming operations of an entire farm, but are not of legal voting age, also may be eligible to vote. Farmers and ranchers began receiving their ballots the week of Nov. 7. Ballots include the names of candidates running for the local committee election. FSA has modified the ballot, making it easily identifiable and less likely to be overlooked. Voters in Local Administrative Area 1 who do not receive ballots in the coming week can pick one up at their local FSA office. Ballots returned by mail must be postmarked no later than Dec. 13, 2016. Newly elected committee members will take office Jan. 1, 2017. For more information, visit the FSA website at www.fsa.usda.gov/elections or contact the Osage County FSA office at 785-828-4631. Farmers who would like a guarantee on their crop plantings and land use acreages can make it official by using the FSA measurement service. Producers must file a request with the county office staff and pay the cost of a field visit to have stake and referencing done on the farm. Measurement service is available using digital imagery. If an on-site visit is not required producers are charged a reduced rate. Incorrect acreage self-certification can result in reduced program payments, penalty or loss of eligibility. All producers are encouraged to contact their local FSA office for more information on the final planting date for specific crops. The final planting dates vary by crop, planting period, and county, so please contact your local FSA office for a list of county-specific planting deadlines. The timely planting of a crop by the final planting date may prevent loss of program benefits. The Livestock Indemnity Program (LIP) provides assistance to eligible producers for livestock death losses in excess of normal mortality due to adverse weather and attacks by animals reintroduced into the wild by the federal government or protected by federal law. For 2016, eligible losses must occur on or after Jan. 1, 2016, and no later than 60 calendar days from the ending date of the applicable adverse weather event or attack. A notice of loss must be filed with FSA within 30 days of when the loss of livestock is apparent. Participants must provide the following supporting documentation to their local FSA office no later than 90 calendar days after the end of the calendar year in which the eligible loss condition occurred. USDA has established normal mortality rates for each type and weight range of eligible livestock, i.e. adult beef cow equal 1.5 percent, and non-adult beef cattle (less than 400 pounds) equal 3 percent. These established percentages reflect losses that are considered expected or typical under “normal” conditions. Producers who suffer livestock losses in 2016 must file a notice of loss the earlier of 30 calendar days of when the loss was apparent or by Jan. 30, 2017, and an application for payment by March 30, 2017. To comply with FSA program eligibility requirements, all producers are encouraged to visit the Osage County FSA office to file an accurate crop certification report by the applicable deadline. The following acreage reporting date is approaching: Dec. 15, 2016, fall seeded small grain (wheat, barley, triticale, oats). The following exceptions apply to the above acreage reporting dates: If the crop has not been planted by the above acreage reporting date, then the acreage must be reported no later than 15 calendar days after planting is completed. If a producer acquires additional acreage after the above acreage reporting date, then the acreage must be reported no later than 30 calendars days after purchase or acquiring the lease. Appropriate documentation must be provided to the county office. If a perennial forage crop is reported with the intended use of cover only, green manure, left standing, or seed, the acreage must be reported by July 15. Noninsured Crop Disaster Assistance Program (NAP) policy holders should note that the acreage reporting date for NAP covered crops is the earlier of the dates listed above or 15 calendar days before grazing or harvesting of the crop begins. 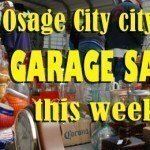 For more information, contact the Osage County FSA office at 785-828-4631 or 115 W. 17th St., Lyndon. 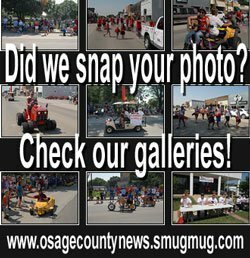 Information thanks to Osage County FSA office.